For most of this past weekend and into this week, the Red Cross was at the scene of a massive warehouse fire in Williamsburg, Brooklyn. Our teams supported the brave firefighters battling the 7-alarm blaze in extreme conditions, providing meals as well as distributing hot beverages, hand warmers, snacks, water and other relief items. Thanks to all who helped! Last Friday, the Red Cross met with Assembly Member Richard Gottfried and thanked him for his ongoing support of the Red Cross. Tuesday night, several Bronx residents living on E. 227th St turned to the Red Cross after a fire tore through their building on an extremely cold night. 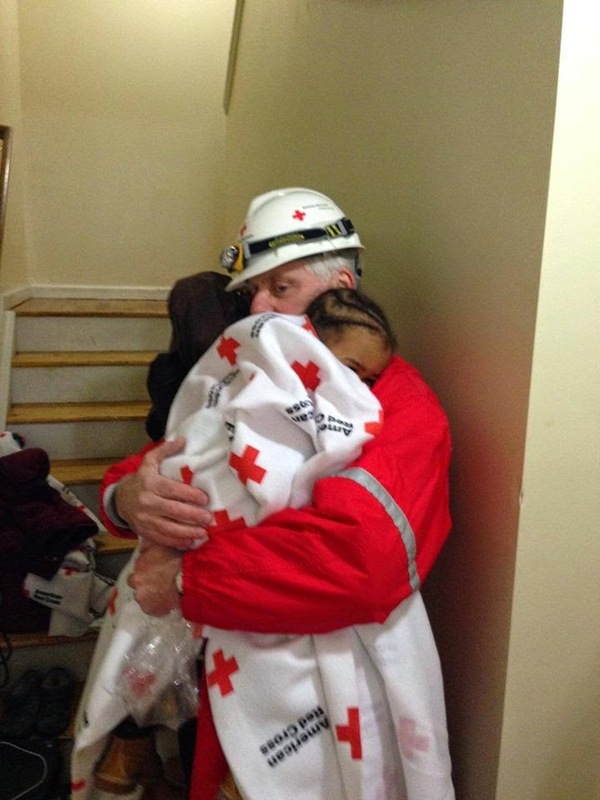 The Bronx Disaster Action Team provided the residents with comfort and support. The youngest of those residents is featured in photo above. 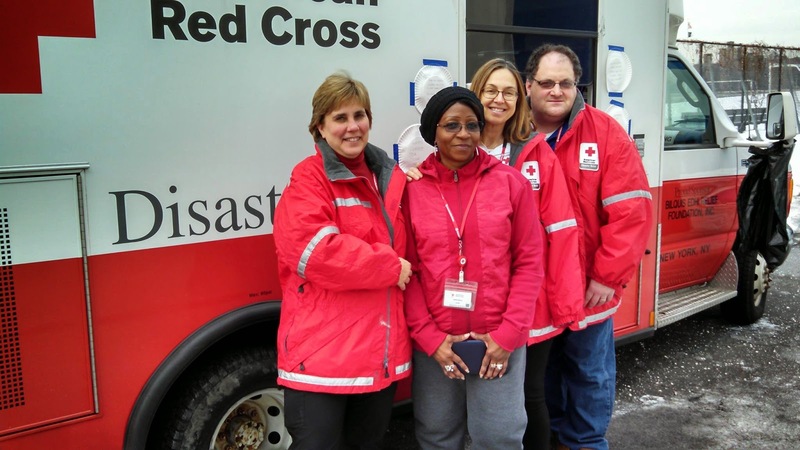 Earlier in the week, as Winter Storm Juno bared down on our region, the Red Cross mobilized and prepared. Thankfully, the storm didn’t dump as much snow as many New Yorkers anticipated, though parts of Long Island did see record snowfall. In response, the Red Cross opened a shelter in New Hyde Park. Also in response to Winter Storm Juno, several of our Americorps volunteers were deployed to Cape Cod, MA to staff shelters and perform disaster assessment in the New England region. Feb 3: Red Cross will be distributing volunteering information at an HSBC volunteer fair. Feb 4: LI Red Cross CEO John Miller will take part in an HIA-LI event entitled, "Helping build more resilient communities on Long Island." Feb 5: Red Cross Pet Therapy, Blood, and Keller Hospital volunteers will be recognized by West Point staff at the quarterly Black and Gold Volunteer Awards recognition ceremony. Feb 5: Red Cross will be distributing volunteering information at a Blackrock Volunteer Fair.